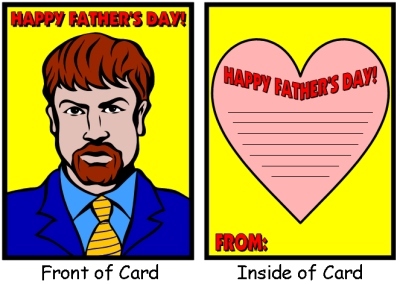 Father's Day Lesson Plans: Unique Father's Cards To Make For Dad! This 5 page banner is included for free in this set of Father's Day lesson plans. Click on the Add to Cart button above to purchase this Father's Day card set. You will be emailed a download link for this resource so you can download and use it today! Save and reuse this resource forever! Father's Day Lesson Plans and Card is provided below. 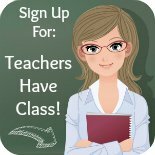 Many elementary school teachers complete a Mother's Day lesson activity with their students in May. On the other hand, the majority of teachers do not include a Father's Day activity in their lesson plans in June because often school has already ended by the time that this holiday is observed. I believe that if a teacher has completed a Mother's Day activity with her students, she should also try to include a Father's Day activity as well. Designing a Father's Day card is a perfect lesson to do near the end of the school year! Fathers will appreciate receiving a card made by their sons or daughters. This end of the year activity will also keep your students occupied during this busy time of the school year for teachers. 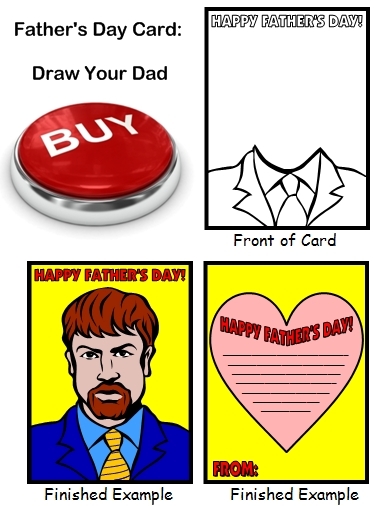 For this lesson activity, students design a card for their fathers. On the front of the card, students draw a picture of their father's face on top of the coat and tie graphic. 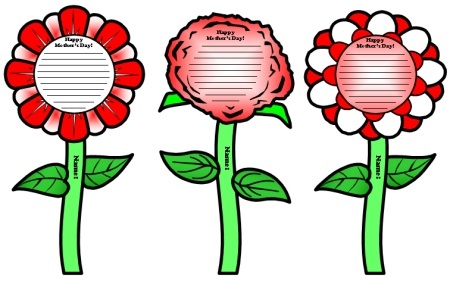 Inside the father's day card, students can write a message or a poem. 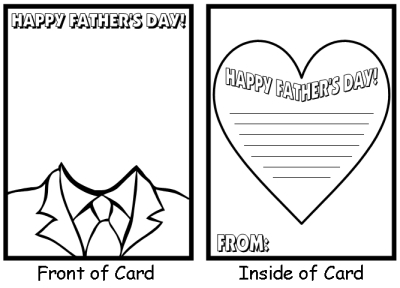 There is a finished example of a Father's Day card provided in this set of resources so that you can show your students where they should draw their father's face above the coat and tie area of the card. Do you want to make sure that your students use correct spelling, punctuation, capitalization, and grammar on their Father's Day cards before you send them home to give to their fathers? I prefer to send home Father's Day cards that contain the fewest errors as possible. For this reason, my students complete their Father's Day creative writing assignments on first draft worksheets to begin with. I help my students edit their first drafts before they start on their final draft card templates. Below is an example of the first draft printable worksheets that are provided in this set of Father's Day teaching resources. 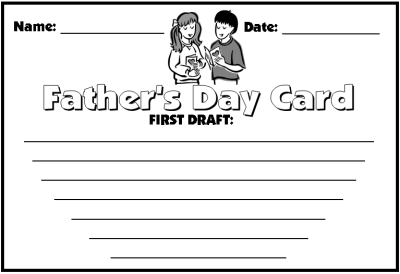 After your students have completed their first drafts and edited them, you can give your students their final draft Father's Day card templates. I have my students make two copies of their Father's Day cards. They take one card home to give to their fathers, and with the second card, I make a Father's Day bulletin board display in my classroom. 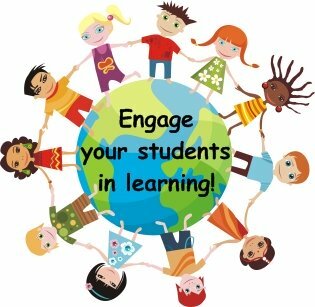 This teaching resource set includes a 5 page bulletin board display banner. these Father's Day cards from their sons and daughters! students creating flower shaped cards for their mothers. Thank you for visiting my Father's Day Lesson Plans page.